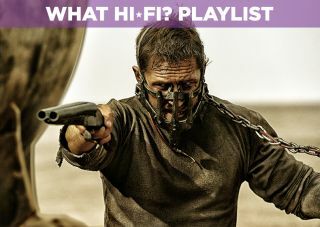 Mad Max: Fury Road – film review | What Hi-Fi? George Miller returns to the wasteland after 30 years. The hype for this film since its release has been huge – does it merit it? Let’s get to it, shall we? If you're a fan of action cinema then book a ticket for Mad Max: Fury Road. This is a rip-roaring ride through the wasteland. It's been 30 years since Mad Max: Beyond Thunderdome and Fury Road acts as both a sequel and a reboot of the series. It's the culmination of a 15-year wait after the first attempt with Mel Gibson was shelved after 9/11. Time waits for no man though, and Fury Road sees Tom Hardy step into the role of former cop Max Rockatansky, adrift in a world that's been engulfed by the desert. The film opens with Max, haunted by the memories of those he's failed to save, captured and taken to a citadel in the middle of the desert ruled by the despotic and leprous Immortan Joe (Hugh Keays-Byrne, who played Toecutter in the first Mad Max). Immortan rules over the land (and therefore life) by controlling the water resources and he's supported by an army of war boys and imperators whose ranks include Charlize Theron's Furiosa, driver of a war rig sent to retrieve fuel for Immortan's delightfully ridiculous fleet of vehicles. Secretly she's carrying a different type of cargo: five young women Immortan uses for breeding who have fled the citadel for the safety of the 'green place' somewhere out east. Once Immortan finds out, he sends a war party after them, bringing Nicholas Hoult's naïve war boy Nux and Max into play. Most franchises move towards stories and arcs told over several films; Fury Road is simple and lean by comparison. Some would call the story thin but we're inclined to call it economical. Miller mounts the story on visuals, the action a vehicle for both story and character - and that graces the film with a breathless pace. Though the title bears his name, Max is more of a co-lead. Theron's Imperator Furiosa is just as important, seeking redemption for something that's alluded to but never fully revealed. Theron is impressive in a role that, like Sigourney Weaver’s Ripley in Aliens, shies away from macho posturing. She's cast as both protector and warrior, with the film taking its time to reveal the depths beneath her hard exterior. She’s fierce but not without compassion. It's a tough act and one that Theron pulls off very well. Hardy is fine as Max. That seems dismissive but is not meant so. His performance can best be described as taciturn. Much of his dialogue – about 20 lines – is interspersed with grunts and (deliberate) mumbles. His Max is a wounded one, caught between fight or flight and less vested in saving others over himself. We’re not sure about the accent. Vaguely Australian in the beginning, it beats to the sound of its own drum by the time the film ends. The supporting cast is filled out by the five 'wives' of Immortan Joe, a roster of young actresses (who are all rather good here) played by Abbey Lee, Courtney Eaton, Riley Keough, Rosie Huntington-Whiteley and Zoë Kravitz. There's a whiff of the Macguffins about them when they're first introduced, but happily they rise above that despite looking like five scantily clad supermodel angels. The same goes for Hoult's Nux (less so the supermodel part). In a role that could have been lost amid the (organised) chaos, Nux comes to the fore as the action escalates. It's easily the most spectacular action film we've seen this year: a maelstrom of explosions and wrecked vehicles. Credit goes to Miller for coming up with such deranged action, his stunt team for making it happen and cinematographer John Seale for capturing the chaos. It's astonishing and it will leave you wondering how they did it. Like the title, the film's editing is furious, with lots of quick cuts. The frantic editing doesn't spoil the crystal clear action choreography on display, though, it only adds to the film's relentless pace – there's a lot of fury to get swept up in. It’s aided and abetted by a very modern and percussive score by Tom ‘Junkie XL’ Holkenberg that uses, seemingly, all the drums in human existence to create a frenetic, rattling soundtrack. It takes cues from Hans Zimmer’s work and it works well within the context of the film. Subtle it's not - then again very little of Fury Road is. A note about the 3D. We saw this in IMAX and like many 3D post-conversions, it didn't seem to make much of a difference. Indeed, the image was less than defined in some places. With Fury Road, Miller has concocted a symphony of destruction, a wild romp full of spectacular and imaginative action sequences. The design of the world and its characters is outstanding and it's been a while since we've had this much fun with a film. Coming out of the cinema we had the urge to see it again. Forget the hype and just go see it for the action. It's terrific.